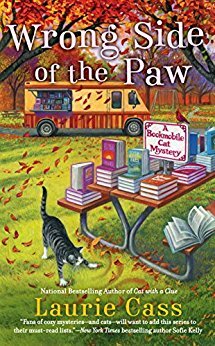 Eddie turns a routine bookmobile stop into anything but when he makes a quick escape and hops into a pickup truck…with a dead body in the flatbed. The friendly local lawyer who was driving the pickup falls under suspicion. But Minnie and Eddie think there’s more to this case than meets the eye, and the dynamic duo sets out to leave no page unturned. If your review is any indication, this looks to be the best book in this series. Love Eddie!